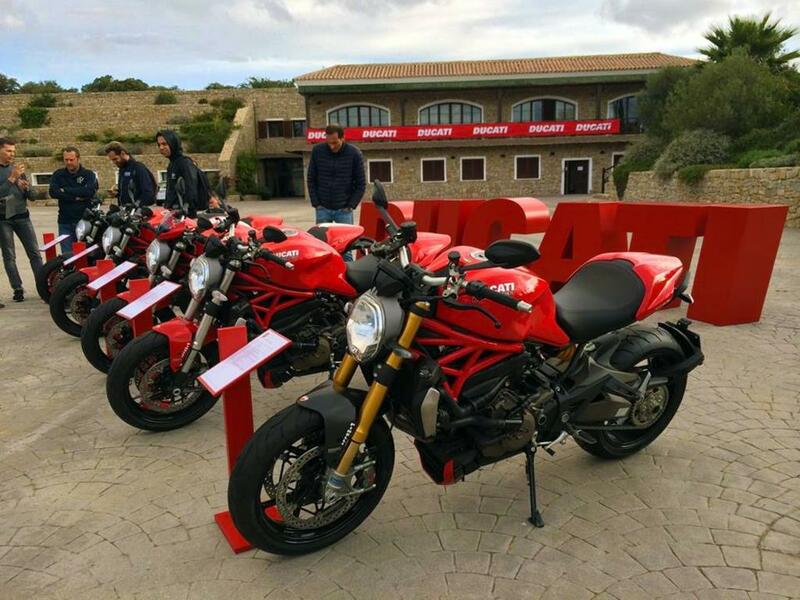 MCN Senior road tester Adam Child is at the launch of Ducati’s all new Monster 1200R, first revealed in MCN just a few weeks ago. 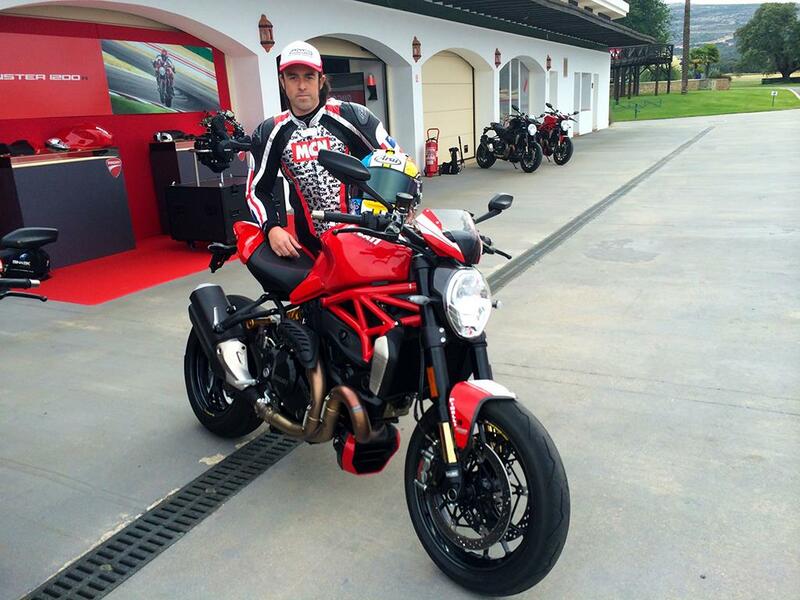 No doubt Chad will be having fun all day around the demanding 5.4km Ascari race track as he puts the new Monster through its paces. The price is yet to be officially confirmed, but it is expected to be arrive in dealers at just around £15,000. “In many ways it appears to be a normal friendly Monster, it still retains a similar Monster look and stance which can be traced right back to eh originla of 1993. However, the clues are in the details; this is no ordinary Monster this is a 160bhp Öhlins suspended, lightweight track ready Monster; the most powerful Monster to date," says Chad. The engine has been tickled to produce 160bhp @ 9250rpm and peak torque of 97ftlb at 7750rpm. The R also gets new bigger brakes, new Öhlins suspension front and rear, a new sub-frame which holds the slimmer tail unit, new colour dash and the Öhlins steering damper – all as standard. It also gets 1299 Panigale-style wheels with the same huge 200 section Pirelli Supercorsa SP tyre on the rear; the new Monster R can certainly head straight to the race track. But it is still a Monster with a friendly side. 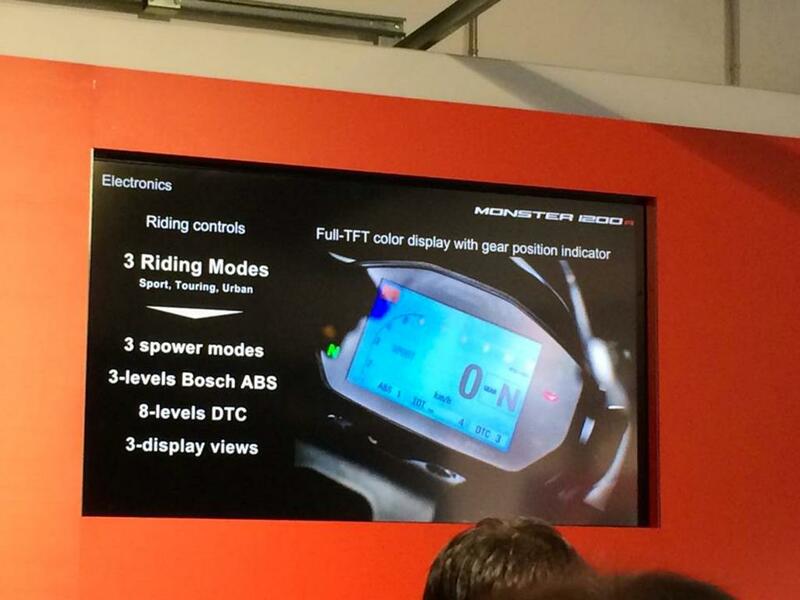 Ducati have included their unique safety pack, which is a bucket full of riders aids which includes eight-way traction control, three riding modes and the latest Bosch 9MP cornering ABS braking system. Pre orders for the 2016 have already started to trickle in, bikes will be arriving in the UK very early next year. Prices haven’t been confirmed yet, but expect them to be between £15,000 and £15,500. 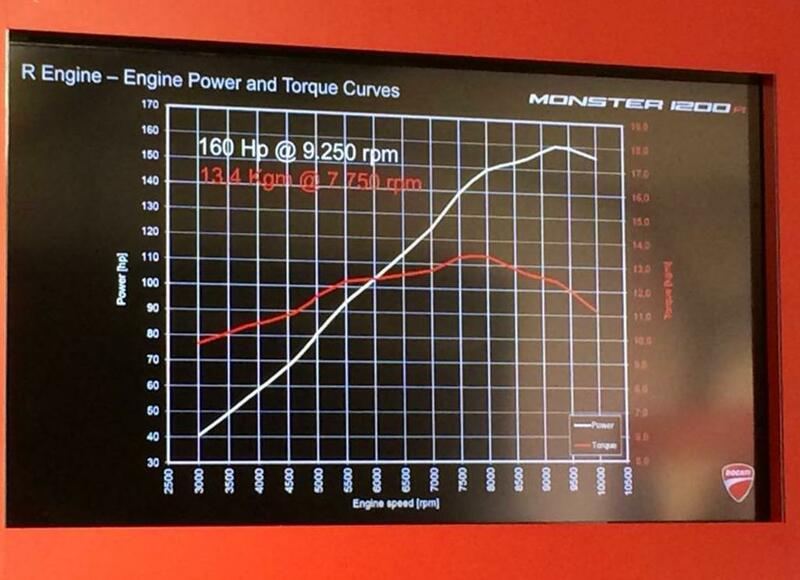 In comparison the standard 1200 Monster comes in at £10,795 and the S at £13,350. Read the full report in next week's MCN.